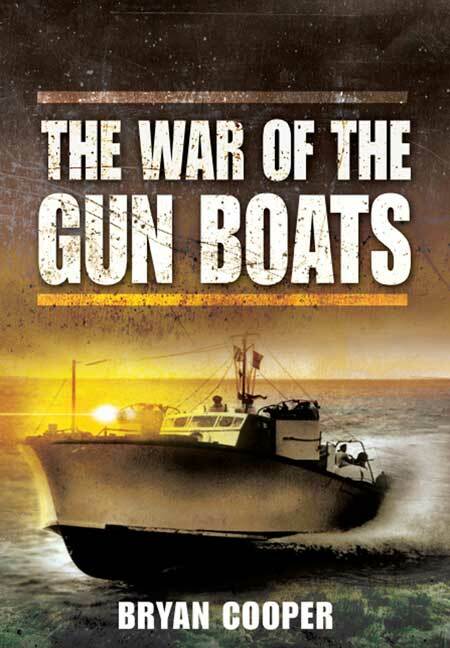 You'll be £19.99 closer to your next £10.00 credit when you purchase The War of the Gun Boats. What's this? buccaneering spirit of an earlier age. And never more so than in the close hand-to-hand battles which raged between opposing craft when they met in open waters. Large numbers of these small fighting boats were built by the major naval powers. The Germans called them Schnellboote (Fast Boats), referred to by the British as E-boats (E for Enemy). In the Royal Navy they were MTBs and MGBs. The American equivalent were PT boats (for Patrol Torpedo). They fought in the narrow waters of the English Channel and the stormy North Sea, in the Mediterranean off the coasts of North Africa and Italy and among the islands of the Aegean, across the Pacific from Pearl Harbour to Leyte Gulf, in Hong Kong and Singapore, and off Burma's Arakan coast. Bryan Cooper's book traces the history and development of these craft from their first limited use in the First World War and the fast motor boats designed in the 1930s for wealthy private clients and water speed record attempts. With account of the battles which took place during the Second World War, when the vital importance of coastal waters came to be recognised, he captures the drama of this highly individual form of combat. And not least the sea itself which was the common enemy of all who crewed these frail craft. I have just finished reading this book. Not only was it most enjoyable but any ‘Ton’ man, especially those who served on Inshore Sweepers, will relate to the description of living on board small ships & the camaraderie that lives to this day. Despite its title, this book looks at the operations of Royal Navy motor torpedo boats as well as motor gun boats, plus those of US Navy PT boats. It covers the development of the boats, their tactical use, and describes individual actions in which they were involved, and gives a good overview of the extent and nature of costal forces warfare.